. : Sheila's Nutrition Digest Vol 17 - Energy Bars: What to look for, real food alternatives, and a great recipe :: Ski XCOttawa.ca :: Skiing in Ottawa and Gatineau Park :. Energy bars are popular with many athletes because they are a quick and convenient source of calories that are easy to eat during workouts or as a handy snack. Traveling, training camps, and races are great times to have bars on hand, since it's important to have a convenient supply of food close by to refuel your working muscles. 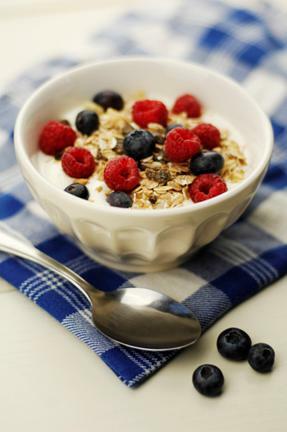 Before or during workouts you want something that digests well and fuels your muscles. Look for a bar high in carbohydrates (about 70% or more of calories from carbs). Individuals vary in what their gut can tolerate, and this might depend on your activity (i.e., many people have better tolerance cycling vs running) so see what works for you. For more intense workouts, some individuals might want to avoid bars with a lot of fiber since they could cause gastric distress, or avoid solid foods altogether and opt for sport drinks only. Post workout: Again, bars rich in carbohydrates are what you need to replenish muscle glycogen. A bar with a higher protein content (e.g., Clif Builder Bar) can help your muscles recover, or consume your bar with a source of protein (e.g., glass of milk). Snacks: Look for a bar with more protein (about 8g or more/bar) to maintain blood sugar levels. Also, choose healthier bars - like higher fiber bars and bars made whole grains rather than refined carbohydrates. Better still - skip the bar and choose real foods (see below). Avoid any bars that contain trans fats, which have been linked to many diseases. Can I eat a bar instead of a meal? If you are stuck, eating an energy bar is better than not eating at all, but generally even the best-formulated bar can't match the great nutrients you can find in whole, inexpensive foods. Portable workout snacks (prepackage in small zipper bags): oatmeal or fig cookies, raisins, honey sandwich, breakfast cereal, graham crackers. Post-Workout: Consider chocolate milk and 100% whole grain cereal and nonfat milk, which are simple foods that have proven to be as effective or better than specialized recovery products in several studies. A 4-to-1 ratio of carbohydrates to proteins is considered best for optimal for muscle recovery. Snacks (also good post-workout options): Many of these combinations include protein, healthy fats, and important nutrients. Consider making your own bars. You'll be rewarded by some great treats to look forward to during your workout. Bake a batch and freeze, so that you have a good supply on hand. This recipe is quite versatile, so create your own variation by modifying the dried fruit and nuts/seeds to suit your taste. These bars feature whole grains (oats and 100% whole wheat flour), are relatively low in fat, with most of the fat coming from healthful sources (nuts and seeds). 1. Heat oven to 350 deg F.
2. In medium bowl, combine flour, baking powder, baking soda, and salt; mix well with fork or whisk. 3. In large bowl, combine sugar, oil, and eggs. Mix well. Stir in oats, dried fruit, chocolate chips (if using), nuts and seeds. Stir in flour mixture. 4. Spread dough onto bottom of 13x9-inch baking pan coated with cooking spray (spreading dough with wet hands is the easiest method). You can also bake these on cookie sheets (just form into 20-30 cookie shapes). 5. Bake or until light golden brown, about 20-25 minutes (for bars) or about 12-15 minutes (for cookies). Cool completely on wire rack. Cut into bars. Store tightly covered or freeze. Nutrition Information (for 24 bars/cookies): 170 calories; 28 g carbohydrates; 4 g protein; 5 g fat; 3 g fiber, 182 mg potassium; 77 mg sodium; and 30 mg calcium. Other Nutrition Digest articles are available HERE. Gatineau Park: Gatineau Parkways are now closed to traffic for the winter.